What is Weekly Cash Alerts? Weekly Cash Alerts is a premium trading service which recommends trading ideas in commodities and currencies on a weekly basis using Vijay Bhambwani’s Weekly Cash Strategy. Who is the editor of Weekly Cash Alerts? Vijay L Bhambwani is the editor of Weekly Cash Alerts. He is a professional trader, author, trading mentor, and lifelong student of the markets. He has been an active trader since 1986. Financial markets are his life and passion. Everything else in his life revolves around his main objective – trading. Vijay believes that no matter how much a trader has lost in the market, it is possible with hard work and smart work to get it all back over time. Understanding the method behind the madness of the markets interests him more than the profits. He specialises in predictive style of technical analysis, in the commodity, currency, and equity markets. That is the foundation stone of his style of trading – Neuro Behavioural Technical Analysis. Vijay trains other professional traders. He is empaneled with the BSE & NSE as a visiting faculty for various finance market courses. He created the early course content for the Diploma in Commodity Markets (DICM), certified by the Forward Markets Commission. 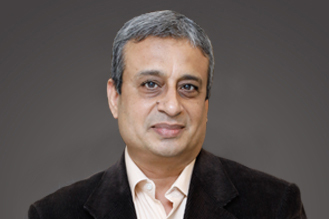 He was a training mentor at the MCX between 2005–2009. He is the first author to have his book – A Traders Guide to Indian Commodity Markets published by CNBC Publishing 18, in 2009 – approved and sponsored by the NCDEX. Vijay has done over 8,000 TV shows in the last 17 years and has written over 4,000 columns/articles in the print and electronic media. He is one of the first columnists to write a weekly column in the English language print media after the commissioning of the MCX, via his columns in the DNA Money, Business Standard and others. Vijay lives with his family in the posh Breach Candy area in Mumbai. What is the goal of Weekly Cash Alerts? The goal of Weekly Cash Alerts is to find and recommend trading opportunities in commodities and currencies, specifically Crude Oil, Bullion, Nickel, Copper, and USDINR that have potential to generate profits on a regular weekly basis. Ideally, none of the trades will stay open beyond a week. What does Weekly Cash Alerts offer? Apart from regular weekly trading recommendations, subscribers will receive Instant Call Alerts directly as notifications to their registered mobile numbers and email ids with details of which trade to open, what price to enter at, and a separate alert on when to close the trades. Subscribers will need to login and access the recommendations online. Every trading day, before the market opens, subscribers will receive a daily 360 degrees update report – While You Were Sleeping which will provide details of global events that have happened overnight which could have an impact on recommendations. Every Sunday subscribers will receive a weekly report – The Final Word that will uncover a new aspect of the Weekly Cash Strategy. It will be a platform for Vijay Bhambwani to share his insights and practical knowledge obtained over three decades of trading expreicence with his subscribers. Will you send separate alerts when a trade stops out or when to exit? Yes. It is possible the Weekly Cash Alerts trade recommendations could reach their targets within days or even within hours. As soon as a trade meets its target or stop loss and needs to be closed, a notification will be sent to the registered mobile number of subscribers who will need to log in to access the alert. What does Weekly Cash Alerts not offer? The service will not offer any equity trading recommendations. Also, please note, Weekly Cash Alerts is a generalised recommendation service. It does not offer customised opinions for any particular subscriber or class of subscribers. We are not qualified financial advisors nor Investment Advisors and we strongly recommend our subscribers seek professional advice before taking any decisions for their investments. What will be the frequency of recommended trades? There is no predetermined frequency of recommendations. Editor Vijay Bhambwani, using the weekly cash strategy, aims to identify and recommend trades on a weekly basis. Ideally, none of the trades will stay open beyond a week. What is the recommended amount to be put aside for the recommended trades? Individually, each trade in the Weekly Cash Alerts recommendation service will require just a few thousand rupees. However, the trades will be leveraged. It is recommended to set aside a few lakh rupees for this service that won’t be required for meeting daily expenses over the coming few years. Thus, this service is suitable for traders who are serious about potentially generating weekly cash regularly. What are the expected returns from the recommendations? The weekly cash strategy is a comprehensive trading strategy that has shown solid, regular weekly returns in the order of thousands of rupees in backtests. Vijay Bhambwani, using this strategy, aims to deliver similar weekly returns for subscribers in this recommendation service. Having said that, returns from securities are subject to market risks, and some recommendations won’t move in our favour. However, each weekly recommendation will be different and the quantum of the return on each trade will vary depending on not only the underlying price movement but also to the amount of leverage involved and the amount committed to each trade. Are Equitymaster Research Analysts allowed to trade in the recommended securities? Equitymaster is an honest, completely transparent and a professionally run organisation. We have a strict compliance system, internal policies and Share Trading Guidelines in place. Please note all securities trading of our employees are tracked and monitored to ensure that our subscriber gets the first right to our paid research. We follow the SEBI (Research Analysts) Regulations and give full disclosures with respect to each recommendation. We further request our subscribers to go through our Share Trading Guidelines. How should I contact the customer service team to get answers to my queries? You can write to us with all your queries and we will be delighted to assist you. Alternatively, you can call us on +91-22-61434055 between 10 am to 6 pm from Monday to Friday. Where Weekly Cash Alerts Fits In? So, where does Weekly Cash Alerts fit in? The answer, of course, varies depending on one's personal financial situation and risk tolerance. 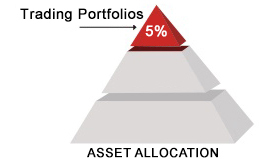 This allocation will of course vary from person to person. For something that works best for you, we recommend you talk to your investment advisor.